Gary Griswold has been a consistent advocate of sensible, balanced change to the US patent system for several decades, and was a particularly vocal proponent of the switch from the first to invent to the first to file system in the United States – which became a reality following the passage of the America Invents Act in 2011. He worked for 18 years as chief IP counsel for 3M and has also served as president of the Intellectual Property Owners Association, the American Intellectual Property Law Association and the Association of Corporate Patent Counsel. In 1991 and 1992 he served as an alternate member of the Secretary of Commerce Advisory Committee for Patent Reform. 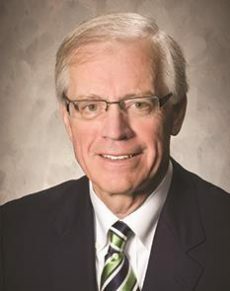 Although now retired from full-time work, Griswold remains active as a consultant, chairman emeritus and senior policy adviser of the Coalition for 21st Century Patent Reform.